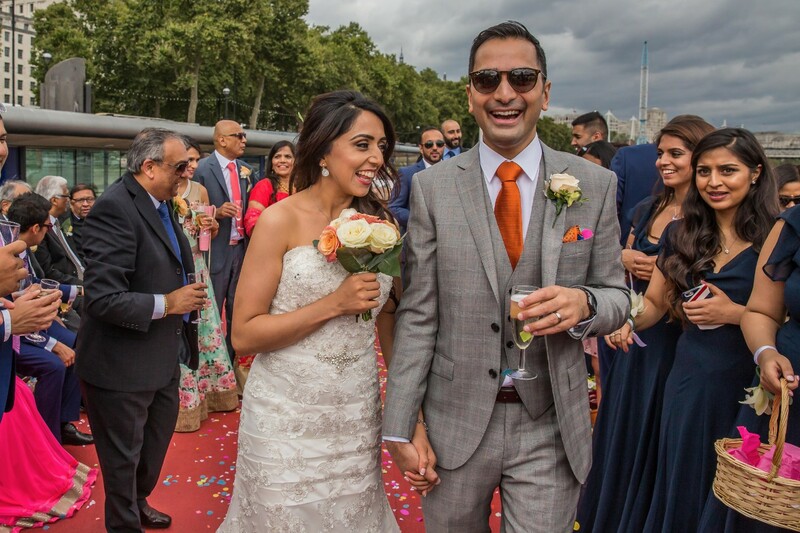 Deep and Ashika came to me for their wedding photography through a referral, (thank you Kapil!). 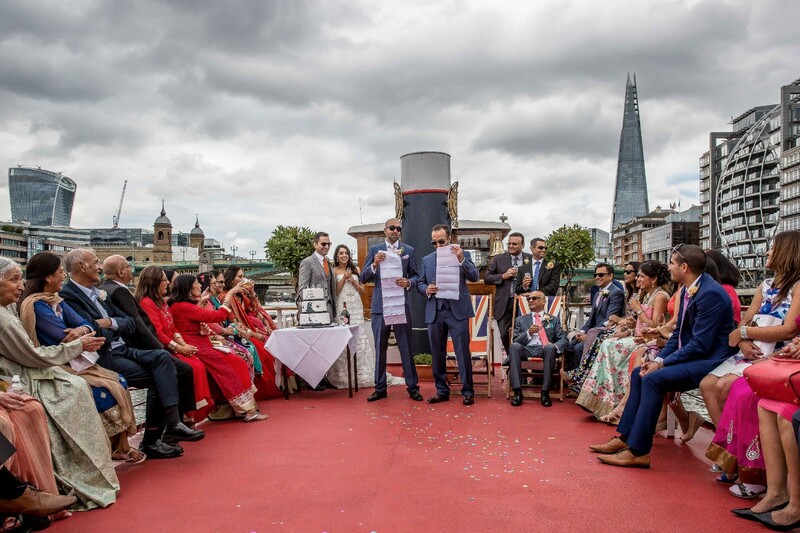 They were getting married in Asia House, Marylebone and were then planning to have their reception on the MV Edwardian cruising up and down the Thames. 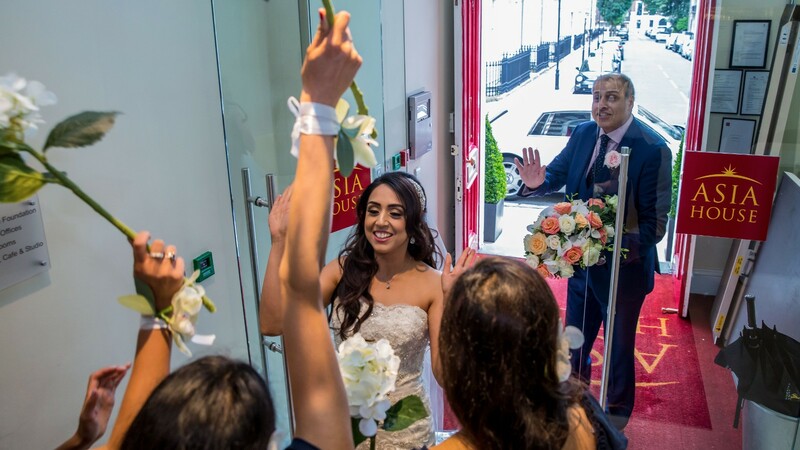 To get from the ceremony to the reception they were hiring a red double decker London bus and already I was thinking of the brilliant opportunities for photographs that this set of locations presented…. Asia House is a Grade II listed elegant, Georgian townhouse in New St W1 with beautifully decorated rooms, flooded with light from the large windows. As the enthusiastic group of friends and family gathered and took their places the bride arrived with her mother in the largest Rolls Royce I’ve ever seen. Ashika looked stunning. 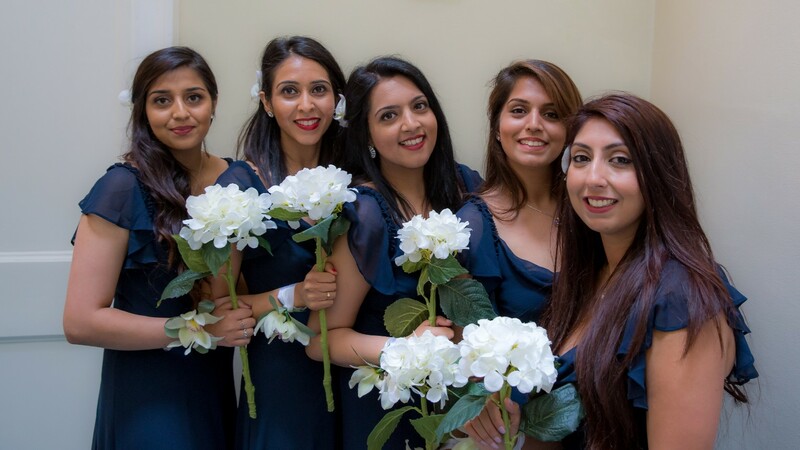 She was met by her five bridesmaids who clearly were in the mood to celebrate; this wedding was not going to be a quiet affair! With the ceremony conducted nerves began to settle and the party started on the bus. A short drive to Westminster Pier and the MV Edwardian was waiting, fully crewed and stocked for a party. 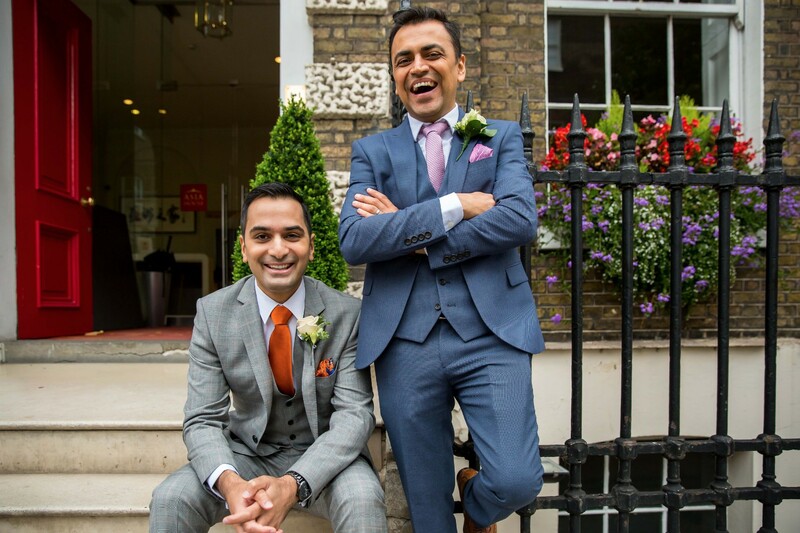 The speeches were met with cheering, clapping and laughter and then toasted, several times! The music and dancing started and everyone threw themselves into the celebrations. 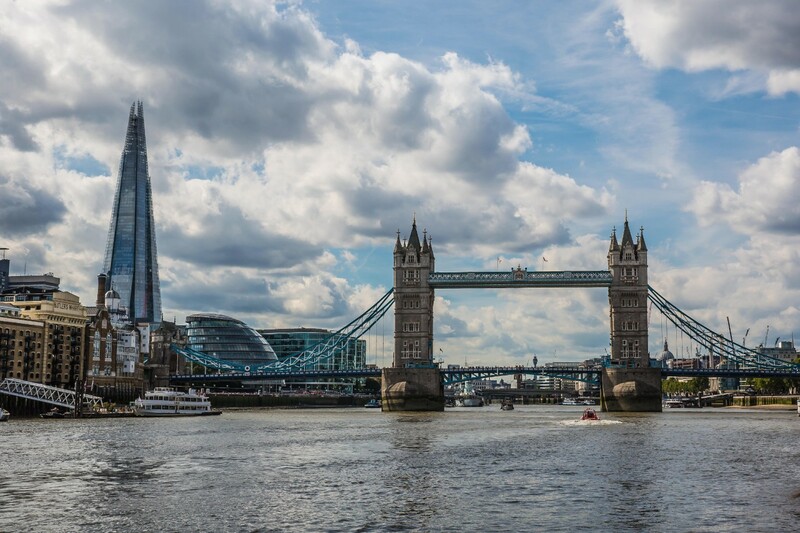 The top deck of the MV Edwardian was a great place to take in the riverside sights of London as we passed them by. A few hours later we returned to the dock with the party in full swing. 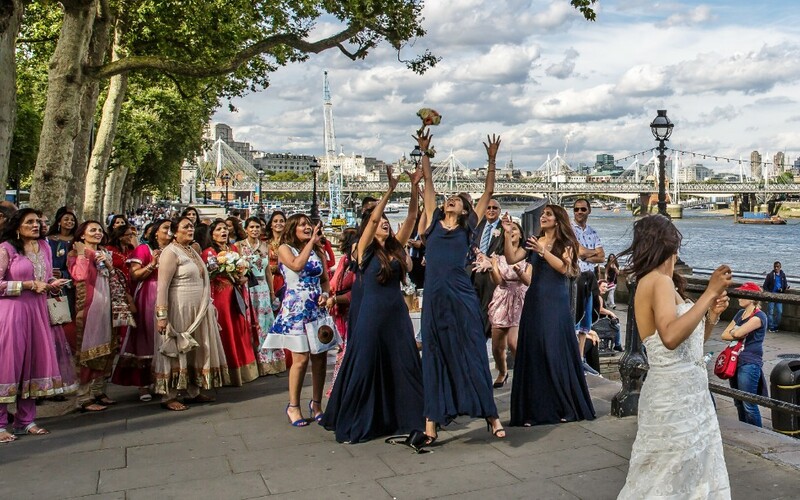 As we disembarked and gathered on the embankment the bouquet throw was conducted to much giggling and cheering. 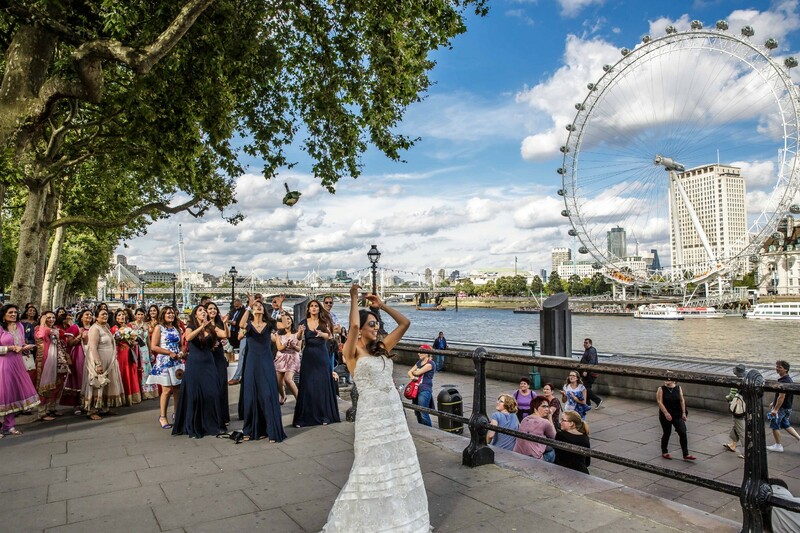 What an amazing backdrop the River Thames and the London Eye provided! My time at the reception was done. 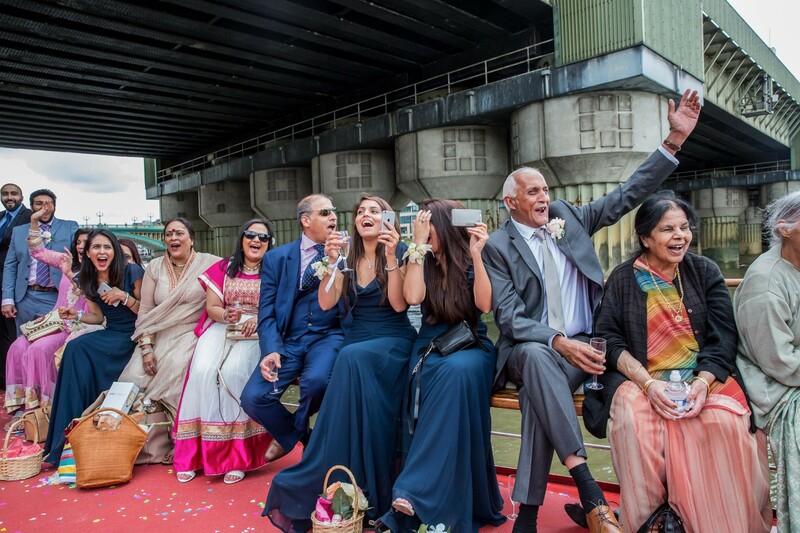 As I waved goodbye to the departing bus with all the family and friends aboard I got the distinct impression that the party had only just begun….